Friday marked the end of an era for area music lovers with the closing of Sally's Place on Main Street. Sally White, who sold records -- yes, the vinyl sort -- there the past 27 years, has officially closed shop. In a July interview in the Westport News, White, who counted the late jazz pianist and composer Dave Brubeck as a close friend, spoke philosophically about the decision, which she said was influenced by family considerations and by declining sales. "When you think about how long I've been around, how many can say they've been around 50, 60 years, doing what they love to do?" White, 84, said at the time. Before opening Sally's Place in 1985, White had worked in the records/music section of Klein's, beginning in the late 1950s. Before that, she worked at Melody House, another downtown music store. A longtime Norwalk resident, White now lives in Redding with her twin sister, whose husband recently died. In that July interview, White, who has two sons and three grandchildren, said she was thinking about closing the store so she could be with her sister. First Selectman Gordon Joseloff presented a commendation from the town to White, on the closing of her store, which he called "haven for jazz and blues lovers and musicians since 1985." 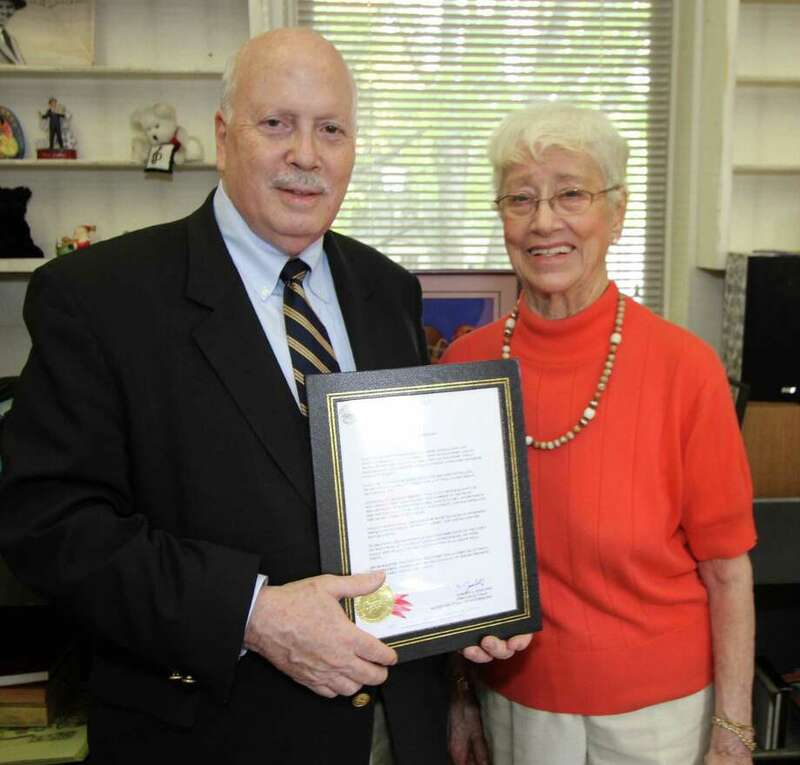 The commendation reads: "In recognition of her long-standing dedication and outstanding service to the citizens of Westport and to music-lovers everywhere, the town of Westport today honors and pays tribute to Sally White, longtime owner of Sally's Place. "Starting at Melody House in 1956, Sally joined Klein's of Westport a few years later. She worked in the music department of Klein's for more than 20 year, after which she opened Sally's Place on Main Street and has operated the music store for 27 years. "Sally's knowledge and love for music has had an enormous impact on hundreds of Westporters -- the young and the not so young. "In grateful recognition of her contributions to the town of Westport and to music lovers everywhere, we which Sally joy, peace and the satisfaction of a career well-spent."